Reduce the time and effort it takes to stay in touch with your customers. With the right tools, email automation is incredibly quick and easy to set up. 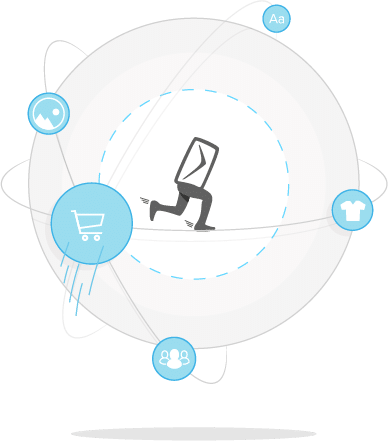 Send automated lifecycle and trigger campaigns to continuously improve customer relations. Save considerable time and effort: discover the power of automation. Set up and activate email sequences once: they will then function automatically. Ensure that each of your contacts receives the right message at the right time – without the need to send newsletters manually. When it comes to efficiency, marketing automation tools are a must for every email strategy. 2. What can automated marketing do for me? Marketing automation: A tailored message sent to the customer depending on the current situation. 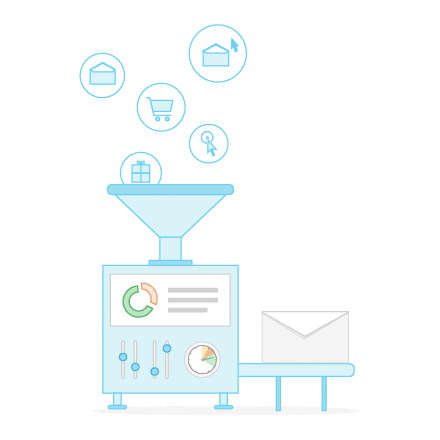 When we talk about email marketing automation, we’re talking about the automation of contact with your customers via your email marketing platform. It’s a way to deepen your relationship with every single segment of your customer base: letting your long-term customers know that you care, and building better relationships with new customers, or even people who’ve just shown an interest in your product without purchasing anything. Marketing automation works as follows: email flows (e.g. sequences of pre-planned emails) are set up once, and are then automatically sent using an automation tool. The emails can be sent based on behavior (so-called triggers) or at regular time intervals along the customer lifecycle. The different kinds of email flows are called trigger and lifecycle campaigns. Trigger emails: Activated and sent based on user activity. Examples: New registration, a purchase from your e-commerce store, booking a stay in your hotel, etc. Lifecycle emails: Sent at certain times throughout the customer lifecycle. Examples: Birthday, long period of inactivity, anniversary of newsletter subscription, and so on. When devising a sequence for your automation strategy, put yourself in the user’s shoes. Try to figure out what they need, want, and desire, and direct your marketing communications to meet these needs as fully as possible. In this example, you can see how an automated flow of emails may be devised. Automation is one of the most valuable tools an email marketing platform can offer. Marketing software, by its very nature, sets you up for success: the emails that you send are always geared towards the current behavior, interests, and actions of your customers. Your emails are relevant, and over a pattern of weeks and months, the automation software will allow you to build a level of trust with your subscribers. In turn, this trust can help to boost loyalty and drive conversions. The best part about marketing automation is that it keeps working in perpetuity – all you’ve got to do is set it up once. With the right tools, you can create and automate awesome email campaigns. This means higher open and click rates and, ultimately, more sales. Email automation can lead to newsletters that are opened up to twice as often as normal newsletters. Why? Because newsletters that are sent based on user behavior are highly likely to be extremely relevant. Setting up your automation tool requires a bit of planning, but most automation software will allow for plenty of flexibility. Triggers can be based on whatever behavior you like: purchase history, gender, location, browsing history, or anything else that you can think of. This means that your marketing automation can be based on activities and behaviors specific to you, your website, and your company. This not only ensures that your marketing is relevant, but is also an extremely cost-effective way of working. Another advantage of marketing automation is the ability to personalize your emails. Although the emails are automatically sent, you can personalize the content down to the smallest detail. In addition to a personalized greeting, you can also ensure that certain content is only displayed to certain groups. Men would see one paragraph of text, for example, whereas women would see a different one. Combining perfectly timed newsletters with personalized content means that your emails are as relevant as possible. A single email can therefore drive results among a range of different target groups. A well-planned and effectively implemented automation strategy is key for long-term customer relations. Essentially, anyone who sends marketing emails should also take advantage of automation. The amount of different email sequences that you can set up for your next marketing campaign is essentially unlimited. Depending on the kind of data that you’re collecting from your users, you can create a different email for every situation, problem or user action. To get started, we’d like to give you a quick idea of the basic kinds of email sequences. By automating your marketing, you’re already on your way towards strengthening your customer relationships and driving more sales. A welcome email is sent to all of the contacts that subscribe to your newsletter. Normally, the email is sent immediately after the person has registered, as soon as the person has clicked on the confirmation link. With email marketing software, it’s easy to set up and run this kind of automated sequence. The welcome email is the first (and maybe best) chance to explain to your new subscriber who you are, what they can expect from you, and how they can benefit from the news, products, or services that you have to offer. Thanks to very practical and easy-to-use automation tools, all you have to do is set up the welcome emails once. After that, they’ll be sent automatically. The first welcome email that you send should have an effective, memorable, and personalized subject line. You should also remind your new subscriber who you are and why you’re writing to them. You can even include video in these newsletters. An important step that many email marketers don’t pay attention to is to include a clear call to action, for example asking new subscribers to follow you on Twitter. It’s easy, it’s quick and it helps to further connect your subscribers to your brand. But that’s not all! Consider developing a series of welcome emails – not just a single welcome message. Send a few, the first asking to subscribe, the second hinting about a cool new blog post you just wrote, the third with a couple of new products that you think the reader will like. You can keep it as simple or as elaborate as you like – with the right tools, you have the freedom to choose. Birthday greetings are appreciated by both customers and marketers themselves. They present the ideal occasion for brands to get in touch with their customers, and the customers themselves get access to personalized discounts, gift cards, or other special offers. 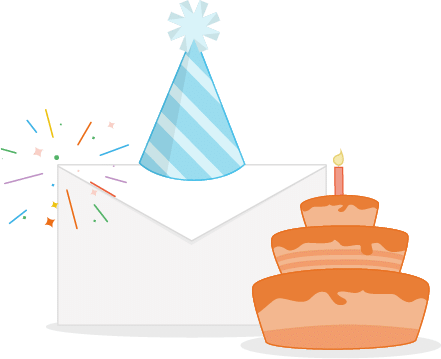 It’s easy to set up birthday and trigger emails; as an e-commerce provider, you’ve probably already got that information to hand. 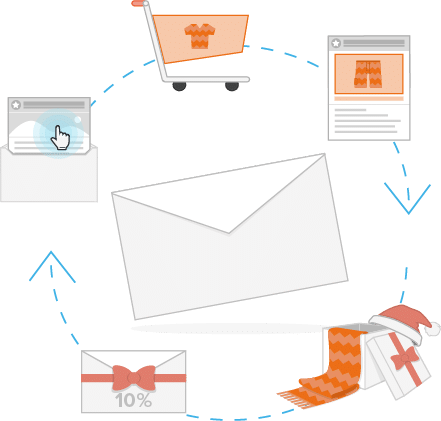 If you want to personalize your birthday greetings even more, consider choosing a marketing software that generates customized discount codes automatically. You can use this feature to send all of your customers unique discount codes. Trust me, they’ll love it. Emails that track a user along their individual customer lifecycle can be effective tools to increase customer lifetime value – for example, by turning free subscribers into paying customers or by re-engaging inactive customers. First, who are you exactly? What’s your story, and how have you gotten this far? Second, what do you have to offer the shopper? Be it expertise, awesome products, or top-end services, you should be clear about what you have to offer. And third, what can the customer expect from you? Consider how often you’ll be emailing, what the emails will contain, and so on. The next step in the customer lifecycle is post-purchase. Customers liked you and your company so much that they bought that awesome new product. Your marketing automation now turns towards converting one-time buyers into repeat, loyal customers. In a new series of automated emails, you send automated product recommendations based on what that person bought. Or you send a unique, automatically generated discount code to say thank you. And finally, you create a series of reactivation emails, whose goal is to re-engage customers who haven’t bought anything recently. Someone bought a product 3 months ago, but hasn’t visited your store since then? They’ll receive an email designed just for them. Someone abandoned their cart two weeks ago? They receive an automated shopping cart reminder. Automating marketing procedures such as these has been proven to increase revenue. Each of these different lifecycle emails will help draw people into your sales funnel, and ultimately drive conversions and revenue. What they all have in common is this: after you set them up, they run automatically. This saves you time, energy, and money. Professional email marketing doesn’t have to be expensive. Some email marketing platforms will charge a premium price for the use of their automation features. At Newsletter2Go, all such features are free to use. Get started today – join us for free.